For most children, drawing is the most favorite hobby. And as the most popular tool for children's creativity, of course, are the colored pencils. With their help, the kids create masterpieces. However, in order for the process of painting gave the child a true pleasure, and the creative work was always original and striking, you need to choose and buy little artist is really good quality and good colored pencils. Not all colored pencils have really good quality. Some of them are too thick and uncomfortable, others faded paint, but others require constant sharpening. 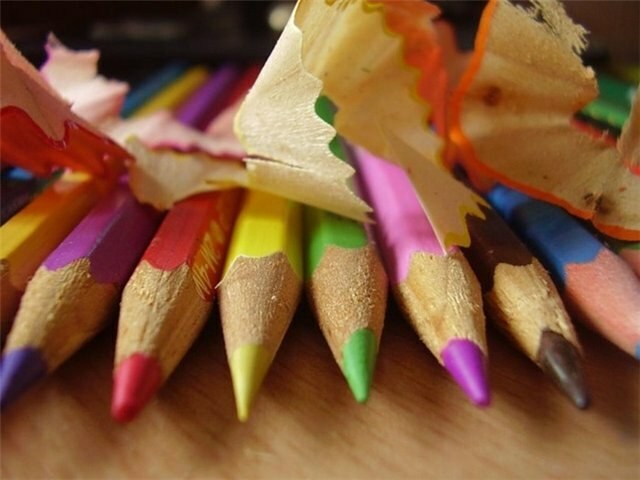 Why is it important to choose a really good colored pencils for a child? In fact, it's very simple. The modern shops that sell stationery, just full of various sets of coloured pencils from different manufacturers, brands, varieties and shades. Not to get lost and not get lost in all this variety is simply impossible. Do not rush to buy, carefully examine the whole assortment and choose the most good quality colored pencils. For kids, even those just beginning to learn the basics of fine art, most suited pencils with a triangular body. They will help your child quickly learn the correct placement of the fingers while drawing, not gripping the pencil in his fist, as most toddlers have not yet reached the age of three. In addition, triangular colored pencils do not roll down from the table in the drawing process and allow the young artist to focus solely on writing, not distracting him from the constant bending and searching of color pencils under the table. If triangular colored pencils in the shop was not to buy tools for painting with six distinct faces. But by buying colored pencils with a circular cross section should be abandoned. They are suitable only for children with already formed the correct grip of a pencil. When choosing colored pencils, and pay attention to their thickness. Children up to three years easier to draw with pencils with a thick wood body with a diameter of about a centimeter. Such a tool will be hard to sit in a child's fingers and will not break when pressed too intense. Prefer soft colored pencils. First, paint them much easier than solid. Second, soft colored pencils reproduce more vivid images. And, thirdly, the child will not have the power to put pressure on the pencil, to draw the plan. Low-quality wood and harmful dyes in the cores of colored pencils can be a result of frequent breakdowns, faded pictures, damaged paper for drawing, and most importantly, bad mood of the child. Choosing colored pencils, do not try to buy the cheapest set. It is better to give preference to products from proven manufacturers that have proven themselves on the market of office supplies and received positive feedback from many satisfied customers. The best manufacturers of colored pencils are KOH-I-NOOR, JOVI, Crayola, SILWERHOF and "Siberian pencil factory", producing color pencils series "Russian pencil" and "Siberian cedar".